What’s your first Olympic memory? Mine was in 1984 when the Olympics came to Los Angeles! I’ll never forget when my dad got tickets to “Team Handball.” That is when I learned that team handball is not a game played against the back wall at elementary school. In the spirit of helping our kids get into the spirit of the Olympic Games, we decided to engage in some preparation fun and help them forge their first Olympic memories. So, we had each of our five kids pick a country to follow. Then they each made flags of their country and we made a “Medal Count” poster to track the progress. Next, we’re getting ready for the pomp and circumstance of the Opening Ceremonies and the Parade of Countries. For this, each child will choose a food dish from their country to serve at our party. (Thank goodness they picked Japan…we’ll get to have some sushi!) 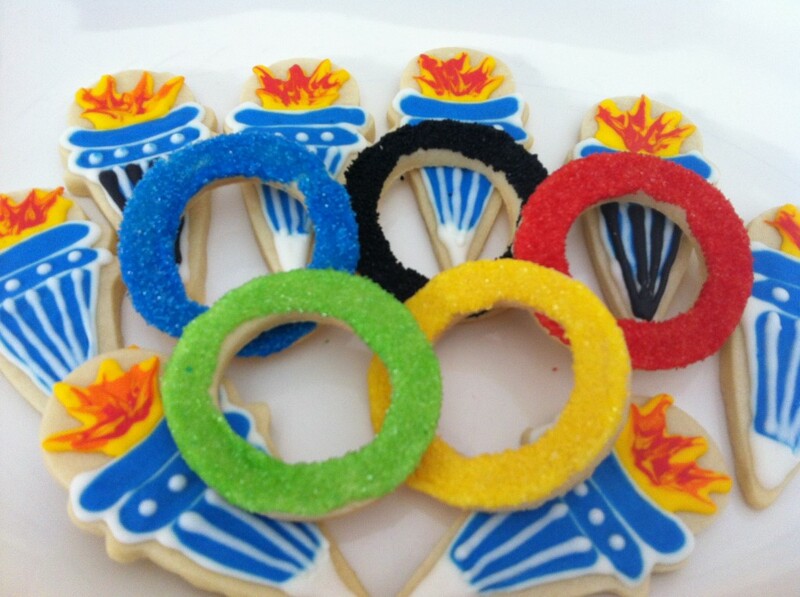 We’re getting into the spirit here, the buzz of excitement is already felt and certainly will be as we wait for the Olympic flame to be lit … of course, no party of ours would be complete without some special cookies! So … what are you planning to do? Leave us a comment and let us know!